32 oz. 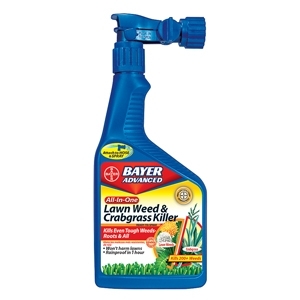 All-in-1 lawn weed and grass killer. Ready to spray formula. 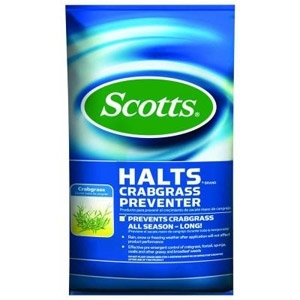 The Scotts Halts Brand Crabgrass Preventer forms a barrier in the soil to prevent the emergence of crabgrass throughout the season and controls it within a few weeks of germination. 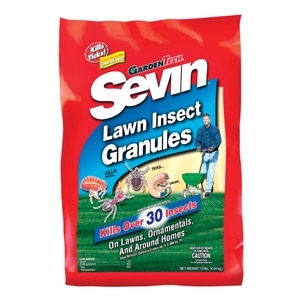 This product also helps prevent the germination of other common grasses and weeds to promote a healthier-looking lawn. Even rain or snow and freezing temperatures will not hinder or change the performance of the product once applied. The container holds enough to cover approximately 5,000 sq. 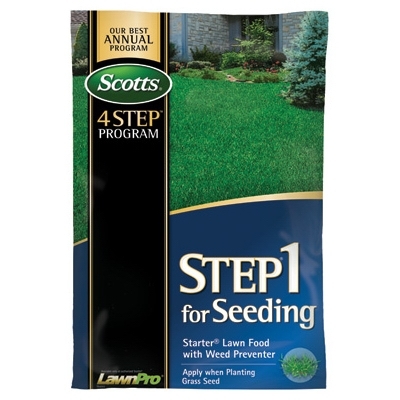 ft.
Scotts® Snap™ Spreader is made exclusively to be used with the Scotts® Snap™ Pac product family. The spreader has the EdgeGuard feature that directs product only where you want it and when you are done the spreader folds for easy storage. Get rid of the weeds that plague your lawn while building strong, deep roots. 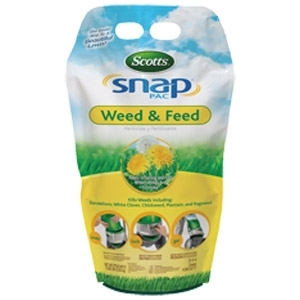 Snap-Pac Weed and Feed kills weeds including dandelions, white clover, chickweed, plantain and rag weed. Stop wasting time pulling weeds and you’ll have more energy to enjoy your garden. 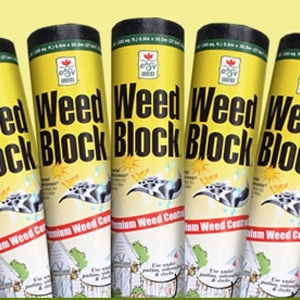 WeedBlock landscape fabric not only prevents weeds, it encourages root growth by keeping soil moist and cool. 3' x 50'. Black. 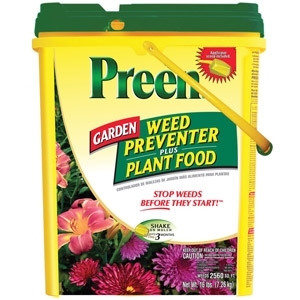 Preen Weed Preventer stops weeds from germinating in flower and vegetable gardens, in ground covers and around trees and shrubs. Although Preen will not kill existing weeds, it can be used as a grass weed killing alternative. It will prevent new weeds from sprouting – eliminating the need for difficult and time-consuming hand-weeding. Without weeds, your valuable plants can grow larger and stronger. Your beds will stay neat and weed-free all season long! If you’ve got a large property to maintain and protect, this is the way to go. Loaded into a spreader, granules provide coverage for thousands of square footage. 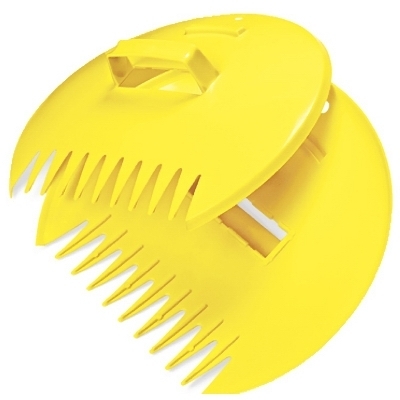 Perfect for creating a perimeter around property, in flowerbeds, ornamentals, or even soiled areas. After spreading, water thoroughly to release active ingredients. Just load, spread, and water, and you’re done. 10 lb. bag. 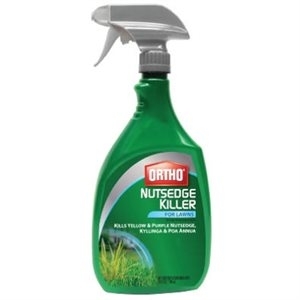 Ortho Nutsedge Killer for Lawns RTU, 24 oz. Kills Weeds, Not Lawns. For Northern and Southern turf grasses. Kills yellow and purple nutsedge. Kills dandelions and other major lawn weeds. Protects and strengthens for a better spring lawn. 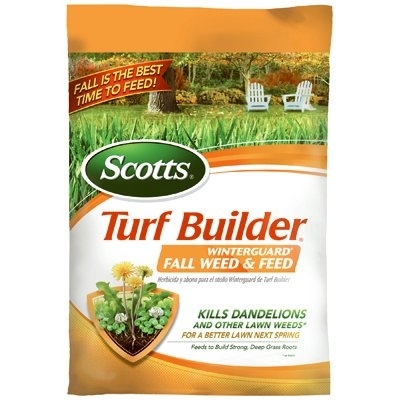 Recommended in the Fall for lawns with weed problems as part of the Scotts Lawn Care Plan. Do not use on bent, carpetgrass, dichondra, lippia and St. Augustine (including Floratam) lawns. Cover 5,000 sq. 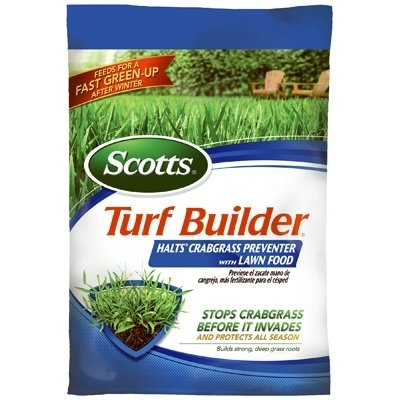 ft.
Scotts Turf Builder with Halts Crabgrass Preventer Lawn Food stops crabgrass before it invades and protects all season. 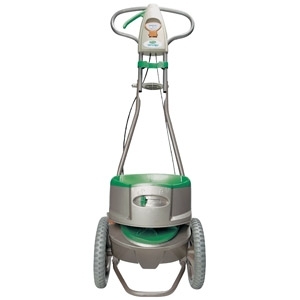 It feeds & greens for fast green-up after winter and will improve your lawns ability to absorb water and nutrients.